All plants, whether they are grown in soil or with hydroponics, require a balance of nitrogen, phosphorous, potassium (N-P-K), and trace elements to grow properly. These nutrients are available to plants in soil in small amounts, but over time they get depleted and need to be su pplied separately to make up the deficit. 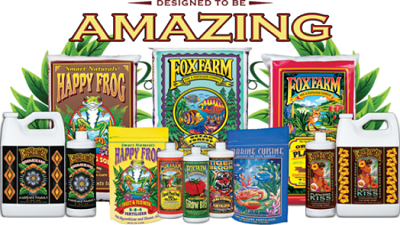 In hydroponics, it is all the more important to ensure that plants get the right nutrients in the right amounts. Hydroponics formulations are structured for specific stages of a plants life cycle. 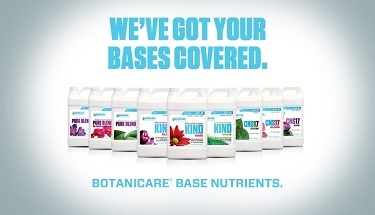 A plants nutrients requirements vary according to the stages of its life cycle. When plants are in the vegetative stage, they require greater amounts of nitrogen, which is the key element in development of leaves and stems. Deficiency of nitrogen during the growth period leads to stunted growth with yellowing of leaves. This is the most commonly seen deficiency in plants. During the flowering cycle the plant requires less nitrogen and more phosphorus and potassium. Nitrogen is essential for plant growth. Nitrogen is a part of every living cell. The two forms of nitrogen which plants take up are in the ammonia (NH4) and nitrate (N03) ion forms. Most agronomic crops take up most of their nitrogen in the nitrate ion form. Plants will utilize N in the (NH4) ion form if present and available to the plant. Lack of nitrogen and chlorophyll means that plants cannot utilize sunlight as an energy source to carry on essential functions such as nutrient uptake. Research has proven that foliar, or leaf applications of nitrogen, is one form of application that can supplement a plants nitrogen requirements during the growing cycle. ~ Nitrogen is necessary for chlorophyll synthesis, and as a part of the chlorophyll molecule, is involved in photosynthesis. ~ Nitrogen is also a component of amino acids. ~ Nitrogen is needed for growth of plants. ~ Phosphorus is needed for photosynthesis. ~ Phosphorus is necessary for plant respiration. ~ Phosphorus is essential for energy storage and transfer. ~ Phosphorus is needed for cell division. ~ Phosphorus is necessary for cell enlargement. ~ Phosphorus is essential for several other plant processes. An important function of Potassium is its influence in efficient water use . Potassium helps in the process of opening and the closing of plant leaf pores, called the stomata. Potassium is found in cell walls which surround stomata. Adequate amounts of Potassium can increase stress conditions on plants during drought conditions. Potassium is also responsible for producing quality crops. ~ Potassium is essential for protein synthesis. ~ Potassium is important in the breakdown of carbohydrates, providing energy for plants. ~ Potassium helps to control ionic balance. ~ Potassium is important in the translocation of minerals. ~ Potassium helps plants to overcome effects of disease. ~ Potassium is essential in the fruit formation stage. ~ Potassium helps improve shelf life of fruits and vegetables. ~ Potassium is involved in the activation of more than 60 enzymes which regulate the rates of major plant growth reactions.